The new Rob Roy statue was unveiled for the first time to the public on the 16th September 2017. The unveiling ceremony took place on the bridge at Peterculter overlooking the rock on which a statue of Rob Roy has stood since 1850. 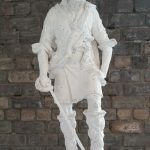 The Rob Roy Preservation Trust had raised £50,000 to fund the replacement statue, which was created by sculptor David Mitchell, a graduate of the local Gray’s School of Art. Rob Roy will be going back on the rock on Saturday 16th September 2017. 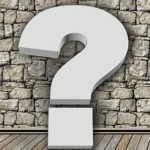 The Rob Roy Preservation Trust is delighted to announce that the new Rob Roy statue is now finished and will be unveiled on Saturday 16th September 2017 at 10:00 am. The unveiling ceremony will take place on the bridge at Peterculter overlooking the rock on which a statue of Rob Roy has stood since 1850. The Rob Roy Preservation Trust have commissioned sculptor David Mitchell to create a new Rob Roy statue. 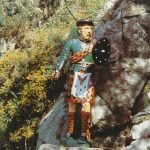 A model of the kilted Scottish hero Rob Roy, has been in place on the rocky bank of the Culter Burn, since around 1850. 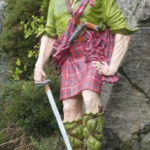 The latest version of the Rob Roy statue, which sits on the the rocky bank of Culter Burn at the west of the village of Peterculter, Scotland has had to be removed due to wear and tear on the statue.